Instagram goals? We think so! 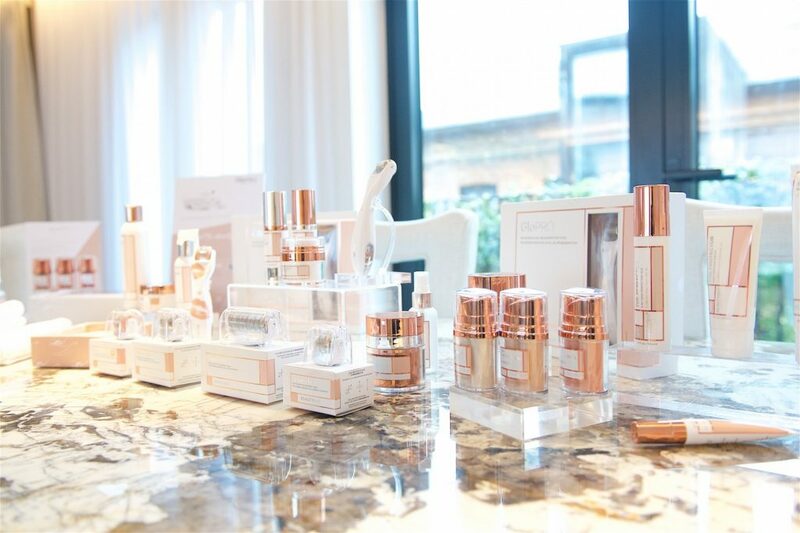 On Tuesday 10th April, b. the communications agency hosted a key press and influencer event at the luxurious Mandrake Hotel Penthouse Suite to showcase The Core Collection from Beauty Bioscience, soon to be launching exclusively into Harrods this month! Guests were carried to the most beautiful spot, with a champagne toast on arrival. The penthouse suite, bright with marble, floral and rose gold accents acted as our open house for beauty editors, bloggers and influencers to engage with the new skincare collection and GloPRO range whilst interacting with Cofounder and CEO Jamie O’Banion. Offering a revolutionary customised regimen that leaves skin feeling fresh and rejuvenated, the Core Collection and GloPRO collection will be available exclusively to Harrods this month.